We, as a prominent Exporter, present Fresh Garlic . It is processed by our vendors under meticulous supervision of food experts as we are insistent on delivering absolute quality on a consistent basis. It is rich in taste and contains no harmful chemicals. These features are the reason why it stays in high demand among our customers. Get the impeccable quality on offer delivered at your doorstep. Contact us for Farm Fresh Garlic at market-leading rates. 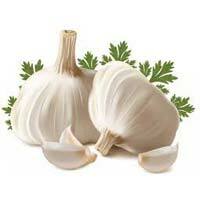 We are successful Suppliers and Exporters of Fresh Garlic from Tamil Nadu, India. 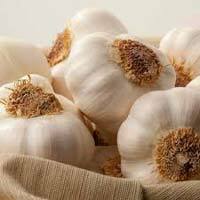 The Fresh Garlic offered by us is free from damage, soil cuts and infection. In order to retain the freshness of the Garlic, special care is taken about the packaging before the final dispatch. 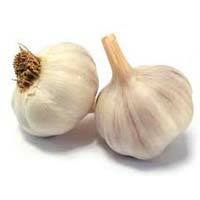 We are capable of delivering bulk orders of the Fresh Garlic within allocated time. Quantity - 21 tons size - big quality - best quality colour - milk white packing details - 50 kg (pp mesh bag.